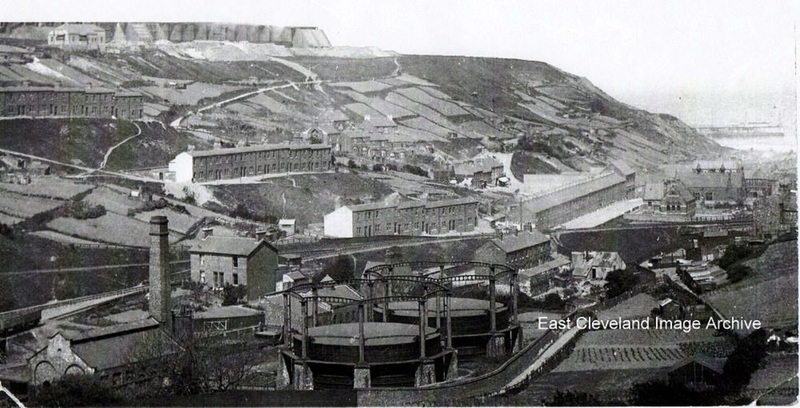 A view of Skinningrove looking over the gasometers, down the village, towards the sea. The terraces on Primrose Hill show up clearly; as do the neat fields or allotments above Grove Road. Image courtesy of the Pem Holliday Collection. My brothers and I, went to this place to buy Coke on a Saturday morning taking it to Liverton Mines via the up-hill lane that went past the Empire Cinema at Loftus. That path had other dangers, the overhead buckets carrying shale from the works to the tip up behind the park at Loftus. It was very eerie coming home down that path, after the cinema; eating our fish and chips from I think it was called Gott’s fish and chip shop up the side of the Empire Cinema.